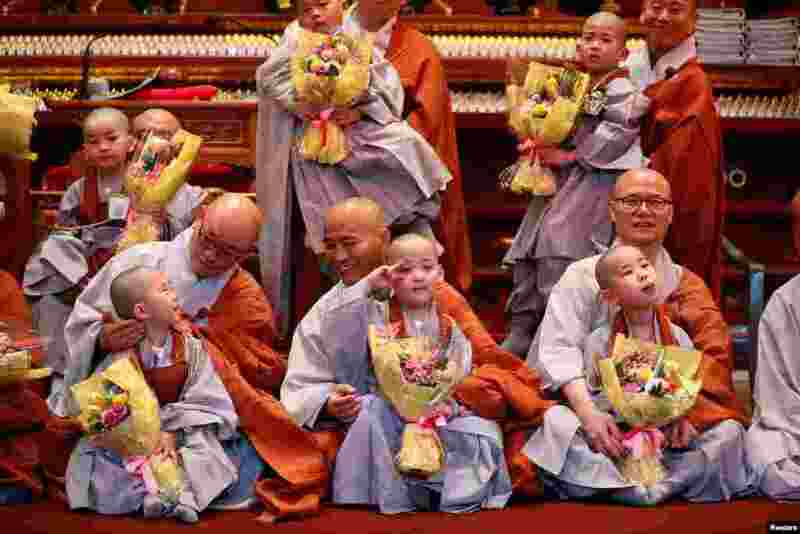 1 Novice monks, who had their heads shaved, pose for photographs with Buddhist monks during an event to celebrate the upcoming Vesak Day, the birthday of Buddha, at Jogye temple in Seoul, South Korea. 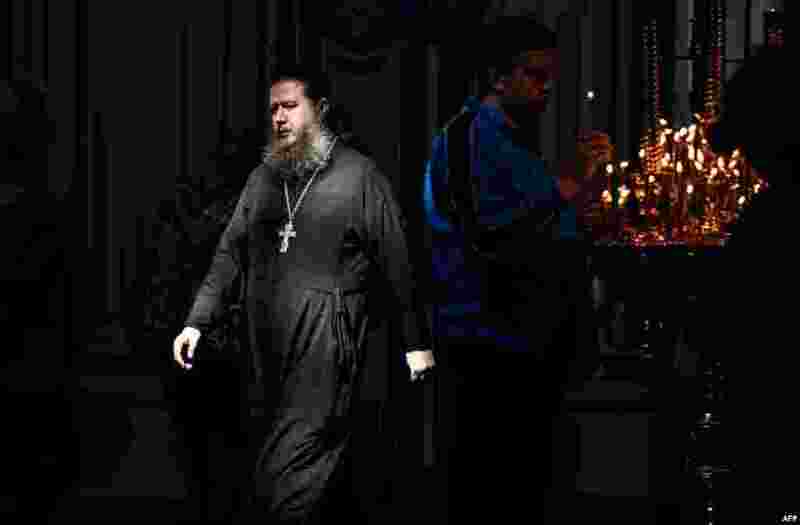 2 An Orthodox priest walks under a ray of sun in the church of the New Jerusalem Orthodox Monastery near the town of Istra, some 70 kilometers outside Moscow, Russia. 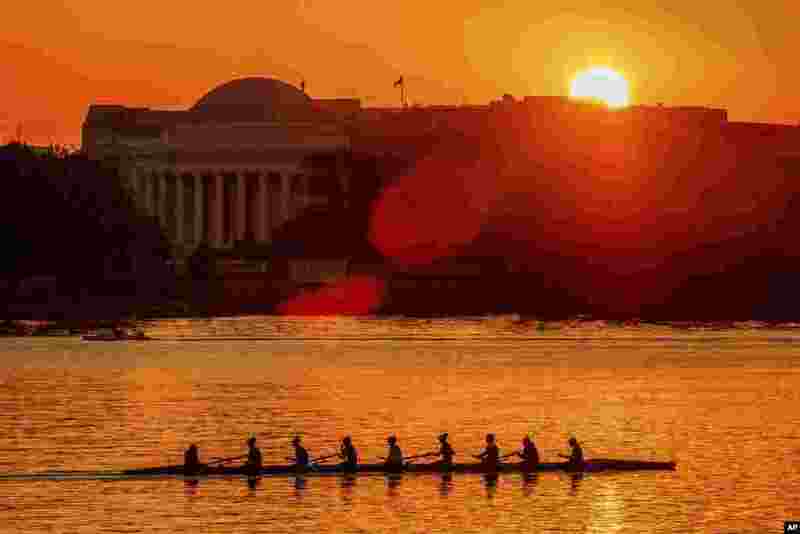 3 Rowers skim along the Potomac River as the sun rises over the Jefferson Memorial in Washington. 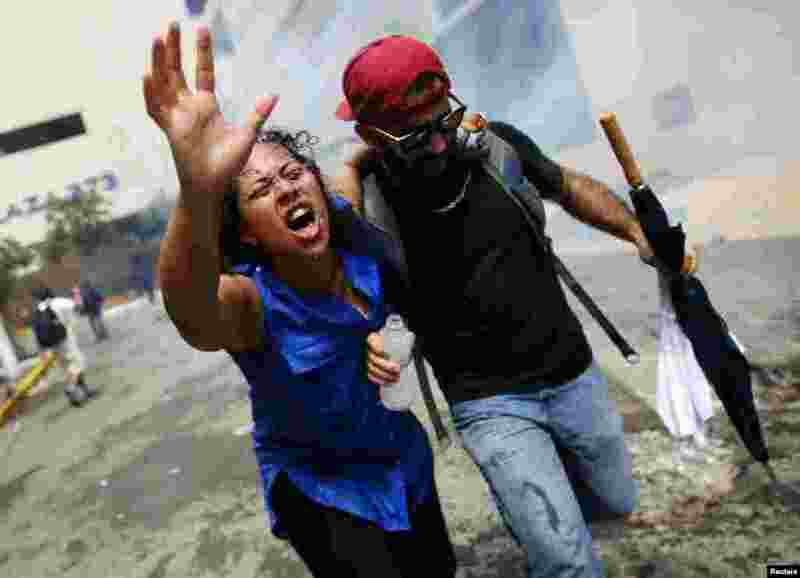 4 A woman affected by tear gas is assisted during a May Day protest against austerity measures, in San Juan, Puerto Rico, May 1, 2018.